John Hardy's Classic Chain collection features this 8mm chain bracelet. 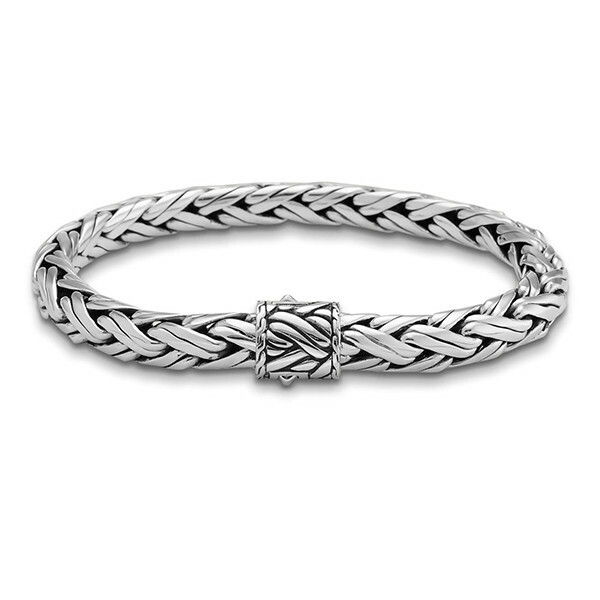 Ribbons of fabulous sterling silver are handwoven in the kepang style to create this bracelet. 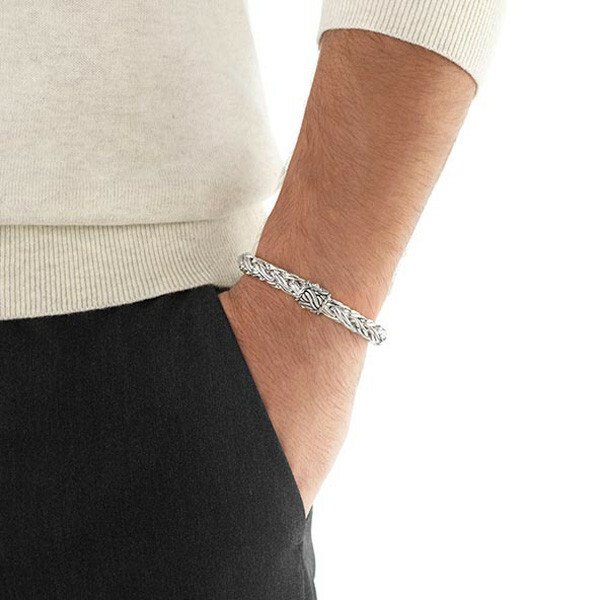 The sterling silver clasp is also hand carved with the kepang weave for a streamlined look. This is a great John Hardy piece that will match with any outfit.